Despite having no formal training in urban planning, Jane Jacobs deftly explores the strengths and weaknesses of policy arguments put forward by American urban planners in the era after World War II. They believed that the efficient movement of cars was of more value in the development of US cities than the everyday lives of the people living there. 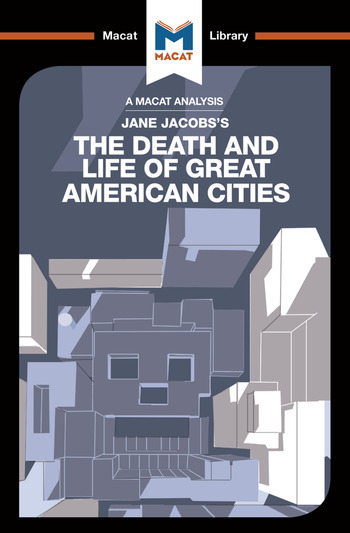 By carefully examining their relevance in her 1961 book, The Death and Life of Great American Cities, Jacobs dismantles these arguments by highlighting their shortsightedness. She evaluates the information to hand and comes to a very different conclusion, that urban planners ruin great cities, because they don’t understand that it is a city’s social interaction that makes it great. Proposals and policies that are drawn from planning theory do not consider the social dynamics of city life. They are in thrall to futuristic fantasies of a modern way of living that bears no relation to reality, or to the desires of real people living in real spaces. Professionals lobby for separation and standardization, splitting commercial, residential, industrial, and cultural spaces. But a truly visionary approach to urban planning should incorporate spaces with mixed uses, together with short, walkable blocks, large concentrations of people, and a mix of new and old buildings. This creates true urban vitality. Dr Martin Fuller holds a PhD in Sociology from the University of Cambridge for research that focused on the Sociology of Art in New York and Berlin. He is currently a researcher at the Technische Universität, Berlin. Dr Ryan Moore holds PhDs in Sociology and Cultural Analysis from the University of California, San Diego. He has taught at universities across America and is the author of Sells Like Teen Spirit: Music, Youth Culture, and Social Crisis (New York: NYU Press, 2009).